Shaving and trimming eyebrows has been a twice-a-week routine to me for more than a decade and sometimes the amount of time I spent to balance both eyebrows to make sure they look perfect is just absurd. And don't even have me mention about trimming each and every eyebrow hair to the same length, quite impossible for people who are impatience like me lol. And I discovered this one simple beauty gadget that's just launched is perfect for female like me - urban, modern, always in the rush, always doesn't have enough time, have to keep looking good due to jobs and social network circle, Veet Sensitive Touch has come to the rescue! 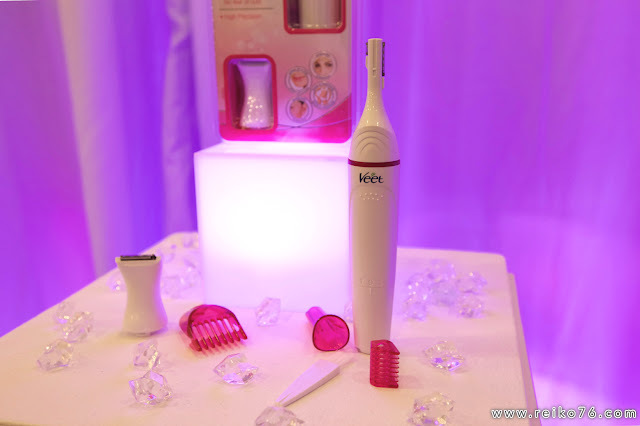 Got invited to Veet's Sensitive Touch launching last month and everything were in pink! Just when I thought Veet Sensitive Touch is just for eyebrows, in fact it can remove and trim hair at most of your sensitive skin area such as underarms and bikini lines. Pretty sure Veet is gonna continue owning the status of world's no.1 depilatory brand after they launch Veet Sensitive Touch. At the event, Veet has invited Celebrity Makeup Artist - Stevensunny to demonstrate 3 different types of eyebrows trimming + drawing method that suits different characteristics of women. Each and every types of eyebrows are trimmed using Veet's Sensitive Touch and the trimming done in a breeze. Makes me questioning myself of my eyebrow trimming skill right now. Just while I'm aware of the electronic razor sound made by the gadget, I was told that the razor of Veet's Sentitive Touch is precise yet gentle, and users should be zero fear of cuts due to its innovative razor design. It's detachable heads are to facilitate the different usage of different body parts as well as the length of eyebrows that were to trimmed. 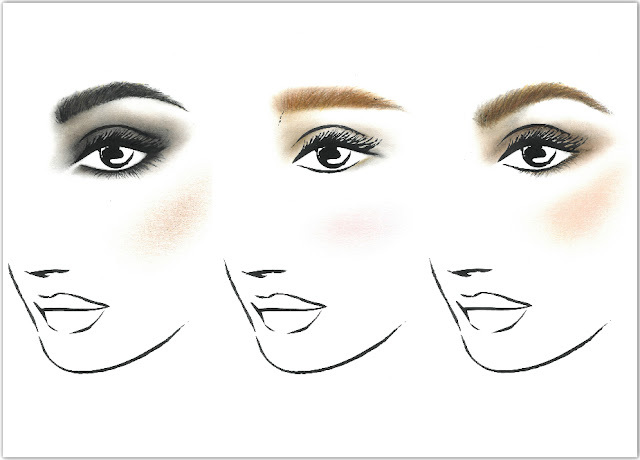 Besides trimming eyebrows, changing the style of your eyebrows has become easier too! The comb caps that came along with the package, just attached it to the razor heads of Veet's Sensitive Touch, you can change your eyebrows style from Rock to Korean to Bohemian without your eyebrows being messed up. Can't wait to try out this innovative beauty gizmo and stay tuned to my review post soon!